As forecast, El Niño 2015-16 proved to be a stellar surf season here on the central coast. 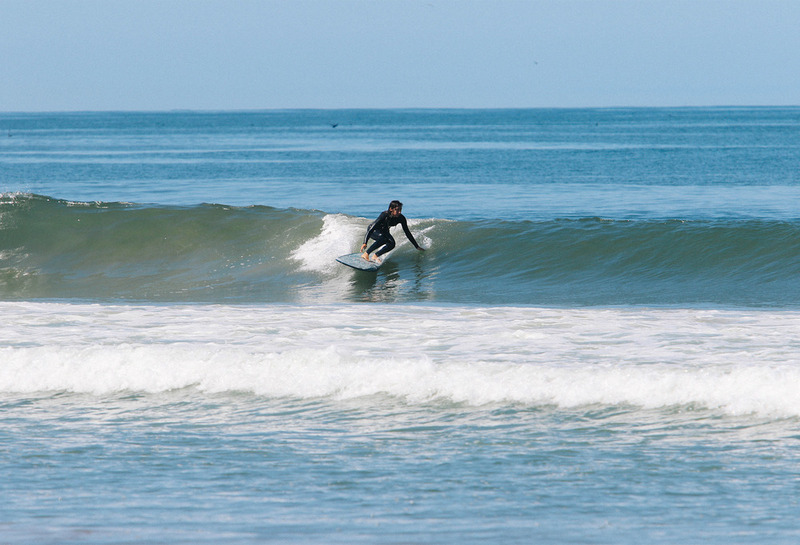 We had months upon months of sizeable swell and stunning conditions, if you knew where to look. There are no professional surfers among the Somma Special Designs "team", however, which means that these sessions will mostly live on in our memories. The days we have access to photo or video gear, or are willing to sacrifice one of our hard earned sessions, normally a respite from daily working life, are few and far between. So, when we do manage to take some photos or video, it usually means either a) the surf is small and we don't mind taking a few minutes behind the camera to document our friends or b) one of us is injured and is willing to man the camera in order to live vicariously through our buddy's shredding. This was a day that was abnormally small this fall. The sun was shining, the waves were tiny and the crowd was all familiar faces. A perfect recipe for fun to be had. I brought out a few logs for some friends to ride, some other friends brought out their own SSD's and self-shapes, and we made a day of it. Enjoy the pics! We're all warriors waiting for the weekend.